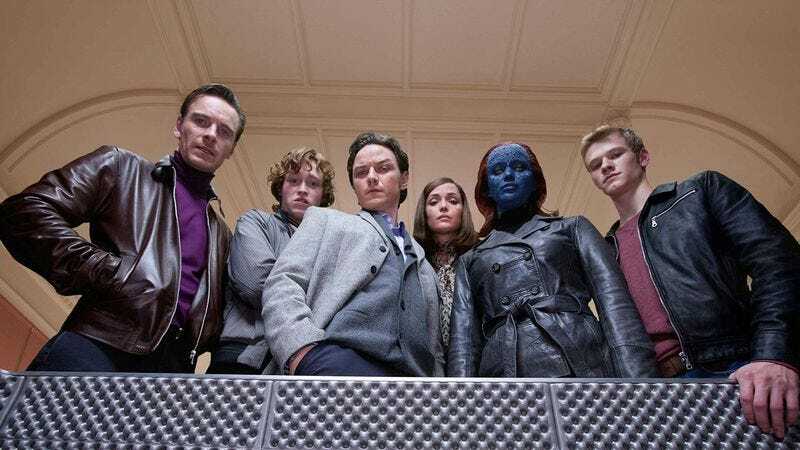 For fans hoping Fox's rebooted X-Men franchise might find a way to further square the characters of First Class with those of the original trilogy—ideally with a confusing time-travel plot—producer Bryan Singer might just have what you're looking for. He's revealed that Matthew Vaughn's next chapter in the series will be titled X-Men: Days Of Future Past, confirming to IGN that it will draw from the popular story arc of the same name in which the superhero group fights a dystopian, Sentinel-ruled future. And yes, Singer further hinted that this does mean the film could "bring some connectivity" between the two X-Men incarnations beyond [SPOILER ALERT FOR PEOPLE WHO ARE FOR SOME REASON READING ABOUT NEWS OF A SEQUEL TO A MOVIE THEY HAVEN'T SEEN YET] Hugh Jackman cameos, and clear up any inconsistencies between their continuities using the old comic-book trick of "alternate universes." Of course, that's all just speculation at this point, and it will likely remain that way until 2014 (or the first leaked set report of, say, Patrick Stewart turning up). But if they are planning on establishing alternate X-Men timelines, perhaps this will eventually lead to the designation and subsequent disowning of Earth-Ratner?